In her Government’s bid to ensure an Opposition voice in the Parliament after the Barbados Labour Party’s (BLPs) 30-0 whitewash over the Democratic Labour Party (DLP) in Thursday’s general election, Prime Minister Mia Mottley announced there would be a Constitutional amendment to enable the DLP to recommend two appointments to the Senate. “We have discussed the need for an urgent amendment of the Constitution to allow the Opposition political party, securing the highest number of votes, to recommend two appointments to the Senate because we believe that, even though there has been no official Leader of the Opposition, my Government would wish to have accomodated the views of the main Opposition party securing the largest amount of votes. In this instance, we are effectively speaking about the Democratic Labour Party,” she said yesterday. Mottley said the amendment would address both of those issues. Barbados’ first female prime minister also announced a weighty, 30-member Cabinet and 12-member Government senatorial team, led by BLP stalwart and Queen’s Counsel Sir Richard Cheltenham, who would also serve as President of the Senate. 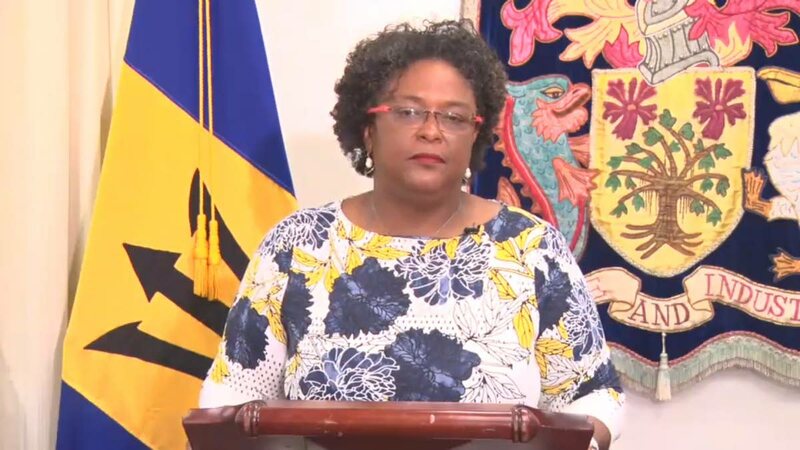 Mottley, who was sworn-in as prime minister on Friday, would also serve as Minister of Finance, Economic Affairs and Investment. She would have some responsibility for national security. Mottley said her Cabinet would be relatively large and made no apologies. Mottley said she intended to hold her ministers to high standards of efficiency and will also share their workload if need be. “I have, therefore, opted to share the workload against a significant portion of the parliamentary group rather than conform to the theory of a small Cabinet, thus creating an unrealistic setting for members to function effectively and to produce in this prevailing environment. Mottley said these were all vital ingredients of the new multi-faceted government she wanted to create. She said, apart from the Cabinet, key people would also be appointed to resolve issues in critical areas. Mottley’s appointments also included two ambassadorial-level advisors: former Deputy Prime Minister Dame Billie Miller, who is to be appointed Ambassador at Large and Plenipotentiary, and economist Dr Clyde Mascoll, who is to be appointed as Chief Economic Councillor in the Ministry of Finance, Economic Affairs and Investment, headed by Mottley. Cabinet members are expected to be sworn-in today. Mottley is also to finalise by tomorrow the appointment of a Director of Communications and Social Media to fill the traditional role of Press Secretary in the Government. Reply to "Mottley takes charge"